London is a fabulous city to explore, shop and eat your way through. There is so much history coupled with amazing art (put the Tate Modern and Victorian and Albert on your list! ), fashion and food that you can be dazzled for days, let alone hours. In addition to all of the sites and museums, this melting pot of great diversity is reflected in the wonderful restaurants that portray a wide variety of international cuisine. So traveling to London must also include partaking in the fabulous food scene. 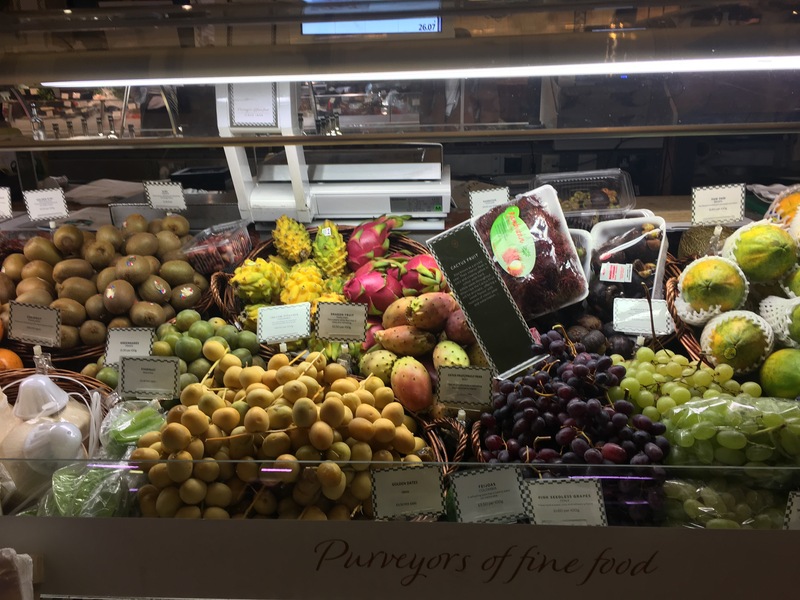 Whatever you do during your trip, make sure you include the Food Hall at Harrod’s for an amazing showcase of beautiful food and multiple dining venues. It’s truly a visual treat for food enthusiasts. London is well known for its wonderful international cuisine, including Indian as well as Persian and Lebanese. If you have a diverse palate, I highly recommend trying them all! As a nutritionist I also know the importance of feeling well while you travel. You want to avoid bouts of indigestion (and potential constipation) and the sluggishness of eating too much. Who wants to have to sit it out at the hotel and limit your travel experience because you don’t feel 100%? Plus you don’t want to return home with tight fitting clothes. So here are some tips to keep you feeling well and trim as you experience London. Also included at the end are some amazing restaurants you should visit in London. Enjoy your journey. 1. Instead of relying on cabs, buses and the tube, walk. You will see SO much plus you’ll be adding in some exercise, which burns calories and keeps you feeling well and energized. 2. 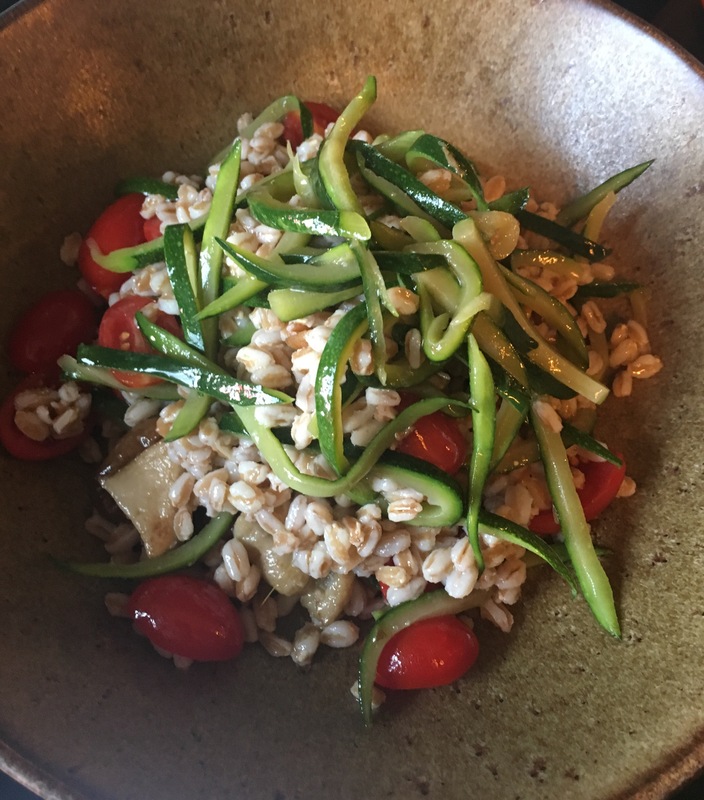 When you are dining, put an emphasis on vegetable-centric meals. Think salads, grilled vegetable plates and sides. The fiber in the food will fill you faster with less calories and will also aid regularity and intestinal health. 3. Order fresh fruit for dessert. Or visit a fruit market and purchase fruit to have in your hotel room for snacks. 4. Choose vegan dishes when possible. Plant protein, which is found in plant-based dishes reduces your risk for heart disease, diabetes and many types of cancer. 5. To stay fit, take a fast-paced morning walk, visit the hotel gym or download an exercise app on your phone and get a workout in your hotel room. Highly recommend Gaia for yoga and Fitness for Weight Loss for a variety of daily workouts. 1.Veersswamy–oldest Indian restaurant in London. And exceptional food. 2. The River Cafe–award-winning Italian restaurant located on the bank of the River Thames. 4. 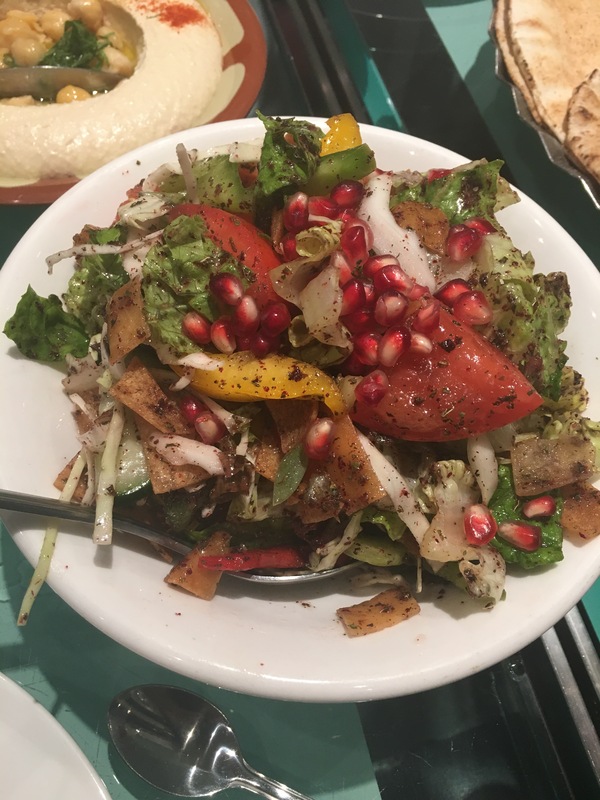 Manoush– casual place with delicious Lebanese food. Lisa Stollman, MA, RDN, CDE, CDN is an award-winning Registered Dietitian Nutritionist who is passionate about helping people transform their lives with optimal nutrition. She received the 2015 Outstanding Dietitian of The Year from the New York Academy of Nutrition and Dietetics. Lisa is an entrepreneur, food influencer, speaker, private practitioner, and writer. She consults with food startups and restaurants to help put health on the menu. She is the co-author of soon-to-be-released book “Making Nutrition Your Business,” Second Edition. In addition Lisa is the author of the ebook The Trim Traveler: How to Eat Healthy and Stay Fit While Traveling Abroad (Nirvana Press 2014) and The Teen Eating Manifesto (Nirvana Press 2012). In her private practice she specializes in teen and adult weight management, plant-based nutrition and diabetes. Lisa received her two degrees in Nutrition from New York University. She consults with clients in Huntington, New York, on the Upper East Side of Manhattan and virtually. To find out more about Lisa or to book an appointment, please visit here.